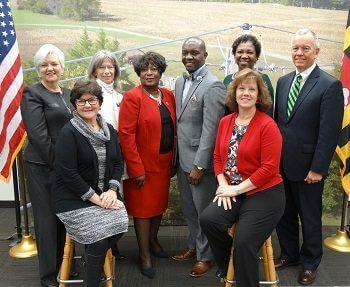 n the back row, pictured from left, are Claire Piason, Director of Development, Calvert Hospice; Jean Fleming, Executive Director of Calvert Hospice; Edith Patterson, state delegate and board member of Hospice of Charles County; Brandon Jones, CEO of Hospice of Charles County; Natalie Cotton, SMECO’s community and public affairs director; and Austin J. Slater, Jr., SMECO president and CEO. Seated at left is Mary Ann Stamm, president of the board of Hospice of St. Mary’s and at right is Denise Chalmers, senior buyer at SMECO. 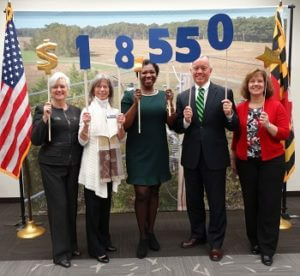 Southern Maryland Electric Cooperative (SMECO) employees held two fund-raising events and recently donated $55,650 to the hospice organizations in Southern Maryland. 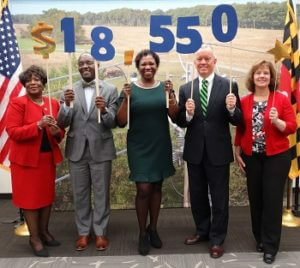 “We’re fortunate to be able to make a substantial contribution to groups that help make Southern Maryland a great place to call home. Our co-op employees and supply chain partners appreciate having the opportunity, afforded us by SMECO’s Board of Directors, to give back to the community. Working with our vendors—who make generous contributions—makes the golf outing an exceptional fundraising event,” said Richard Jarboe, SMECO supply chain director. The Cooperative selects different organizations each year to benefit from its fundraising events. 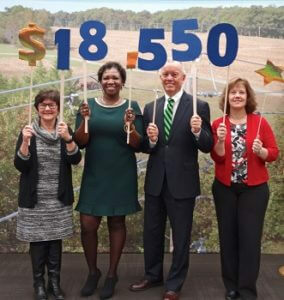 In six years, SMECO employee fund-raisers have contributed $270,650 to local organizations. Contributions, which may be tax deductible, can be made to the SMECO Charitable Foundation. “We selected the hospice organizations as this year’s recipients because they provide help to people when they need it most,” said Natalie Cotton, SMECO’s community and public affairs director.